So the title betrays where I am but for the benefit of slow coaches, I am in Kigali Rwanda for the Africa Tech Summit Kigali. This is the third time this annual event is running BUT this is the first time that it is on the African soil. The previous two editions were in London where the chief organizer, Andrew Fassnidge is based. Andrew is not new to the African tech ecosystem nor indeed to the Zimbabwean version of it. He lived and worked in Zimbabwe sometime back. Anyway, as much as I like Andrew, this article is not about him. We may have to write about him some other time over some interesting stuff he’s doing, right now: the Africa Tech Summit Kigali. The first reason I am excited is that this event is on the continent for the very first time. I wasn’t too chuffed about a conference on Africa’s next big thing being held in a European capital. It just drew too much parallelism to the infamous Berlin Conference. The reason why it was in London though was that the summit is really about getting global capital to understand the huge potential and investment opportunity that tech startups in Africa present. The event was thus hosted close to the bulk of that global capital. Now it’s in Africa because nobody needs to be convinced about the African startup potential anymore. All they need now is to see what is being built on the continent. The London version of the event is still happening though. It is also important to get startups in Africa to visit other markets especially capital markets so they get to know what’s out there and how they can position themselves in a global sense. Second reason we are excited to be here is that the event is in Kigali. 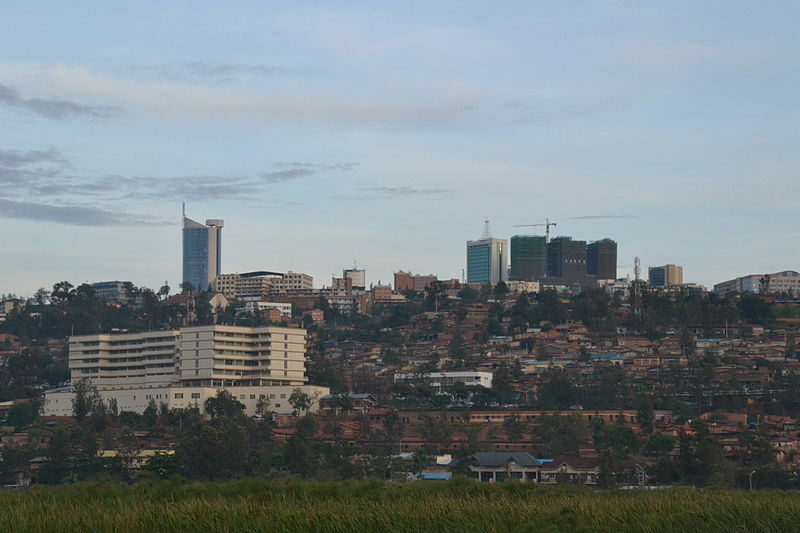 Rwanda has been celebrated as a shining example of the rebuilding of African economies through investment in tech and an understanding of the centrality of connectivity and associated technologies to the creation of new value that is not dependent on extractive sectors. I was happy to see an infomercial at Kigali International airport that said the whole of Rwanda was covered by 4G. The third reason we are excited is that the Africa Tech Summit is biased towards startups and what they are building. Now, there is a lot of misconception about what a startup is. In Zimbabwe, people think a startup is any ‘upstart.’ No boss, NOT EVERY NEW BUSINESS IS A STARTUP. And NOT EVERY STARTUP IS A NEW BUSINESS. This makes me long even more that the government were here. There is a ministry dedicated to SME’s, I wish it was instead dedicated to startups. Anyway, I am looking forward to interacting with African startup success stories like Andela and iRoko. If I get the time to write at all during my stay in Kigali it will be most likely about these interactions and how they could inform the path that Zimbabwe is about to embark on. Anyway, I slept at 4 am and was up at 6 so I could be on time. I have to end this so I meet that objective. Catch up with you’all when I have the detail to share otherwise watch our social media… Next time I want to come with at least twenty of you! Bulawayo City Council Promises To Start Live-Streaming Council Meetings. Good article and good to have you here guys. Nyasha I hope you will do your readers here in Zim a favour, that while you are there write some articles on good and thriving tech start-ups elsewhere on the continent, without dwelling solely on South Africa which a proven startup ground. Examples are always inspirational.